The Jewel means wealth. The Jewel means beauty, The Jewel means royalty. Violet, born and raised in the Marsh, has been trained to work for the royalty. And she quickly learns of the brutal truths that lie beneath the Jewel's glittering facade: the cruelty, backstabbing, and hidden violence that have become the royal way of life. When an unlikely friendship offers her an opportunity she never dreamed possible, Violet clings to the hope for a better life. But a forbidden romance changes everything. And suddenly Violet finds herself in a different kind of danger, one that may cost her more than she bargained for. 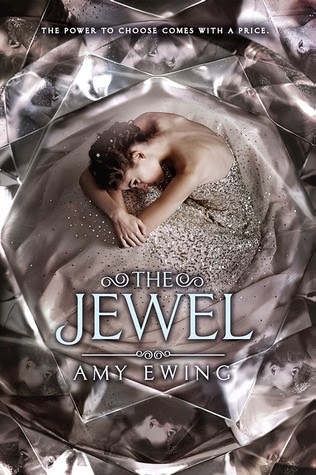 The Jewel by Amy Ewing is the first book of The Lone City trilogy. It's about a girl name Violet being trained to be a surrogate and little did she know things aren't what she thought it is. 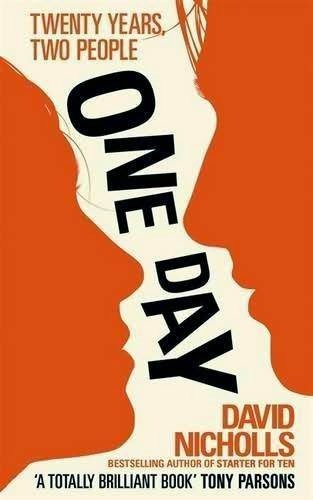 I like the concept of this book as it's in the dystopia genre. The world built is an interesting place and the people in it are awful but it makes the story good. I feel that the plot flowed really well with a good twist at good moments. This book can grab my attention well at good moments but also some chapters can be just okay, nothing exciting. I didn't quite like the main female character as I felt she is a bit too immature and naive but I guess it fits the story well. Sadly, I did not see much character growth for her or maybe I was expecting too much. The other characters of the book are interesting people as not much has been revealed yet and I'm sure that's on purpose. I'm really curious to know more about other people instead of Violet. Sad to say she kind of annoys me. The romance of the book is insta-love style which is not acceptable for me as I prefer love that slowly blossoms. The love story seems rushed and lack of development which puts me off a little. Overall, it is a story that has much interesting elements and many questions unanswered which intrigued me to continue reading and I'll definitely wait for the second book. The ending was also quite shocking to me and that itself earn a star on it's own. This book represents many things that I feel young people should know about society. I love the message I got from the book and I hope others who read this understands it as well. 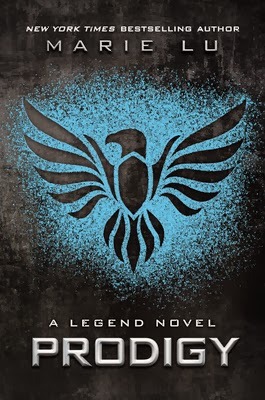 A good story to enjoy just forego the romance part and I'd like to recommend to dystopia lovers. I remember what I must do , even if it makes me the villain of my own story. "Come and be the most powerful person in the world"
Suddenly, Lily finds herself in a different Salem.One overrun with onsters and ruled by powerful women-including Lilian, this world's version of Lily. "It will be terrifying, it was for me." What made Lily weak at home, makes her extraordinary here. It also puts her in a terrible danger. Faced with new responsibilities she can barely understand and a love she never expected, Lily is left with one question: How can she be the savior of this world when she is literally her own worst enemy? 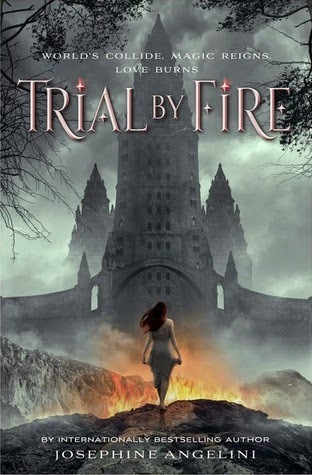 Trial by Fire by Josephine Angelini is the first book of the worldwalker trilogy. I have yet to read anything from this author before hence this is my first time reading her book. The story is about a girl who went to another parallel world with her own world. In that other world, there is another version of her and some other people in her life. The idea of the story is really good as the other world built by the author is quite good with detail. I like that there is much mystery to what some of the characters are doing, especially the main character. There is much growth to the characters which I love. I like the relationships that are built up along the story and felt that it suites the story really well. This was a book with a good amount of action and it was written well. I like the flow of the plots and the twist of the story was well done. The only complain I have is I felt towards the end it was a bit rushed. I would have enjoyed it if there was more action than what happened in the book. The ending is good as it will leave you hanging and wondering about the next book. I have not read many witch story type of books except for Charmed so I can't remember well enough to compare hence this book is a new experience for me. I quite liked the book and I'm looking forward for the next book as there are some questions that I hoped would be answered then. I recommend this book to readers who love stories of witches and parallel worlds as the book's concept is quite refreshing. I would skim through the book before reading the second book which will be out next year. Other than that, I'm not sure if I would pick it up again. Emily's best friend Sloane disappears, almost without a trace - the only thing left behind is a to-do list. On it, thirteen Sloane-inspired tasks that wallflower Emily wouldn't normally do, and definitely not without her best friend. But what if completing the list could bring Sloane back? Dance until dawn? Sure why not? Emily only has the summer to check everything off Sloane's list. The question is, what will she find at the end of it? - excerpt from book cover. 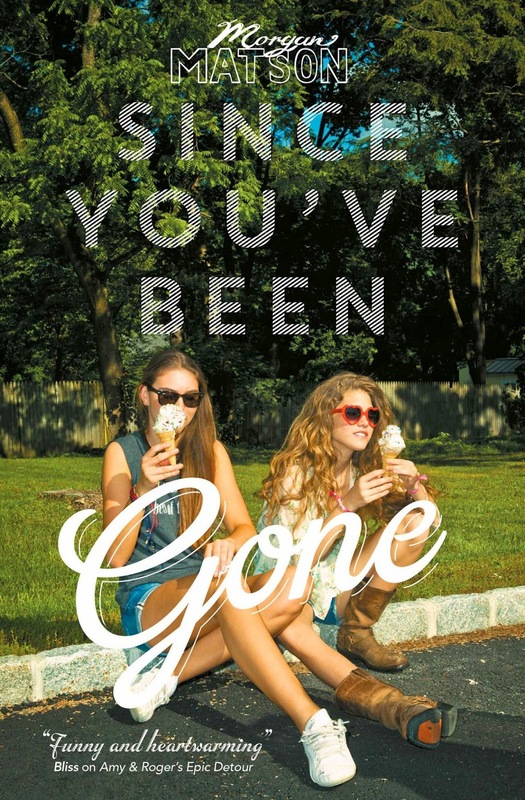 Since you've been gone by Morgan Matson is a story about a girl completing a list sent to her by her best friend who seems to be missing this summer. I did not know what to expect for this book except that it's in the summer and a girl has to complete a list. At start of the book it was like introduction to the characters which did not capture me yet. But then when the list was received, things started to be really really interesting. 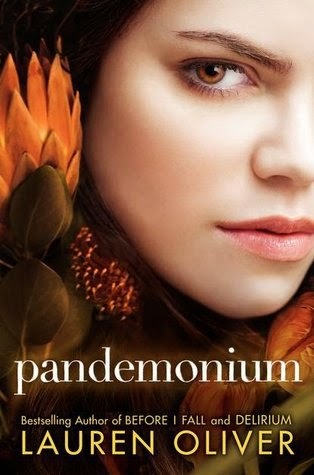 I really love the characters of the book especially the female lead. She has the most character growth in the book which made the story fantastic. I like how the other characters slowly emerged in the story and took part in the plots. 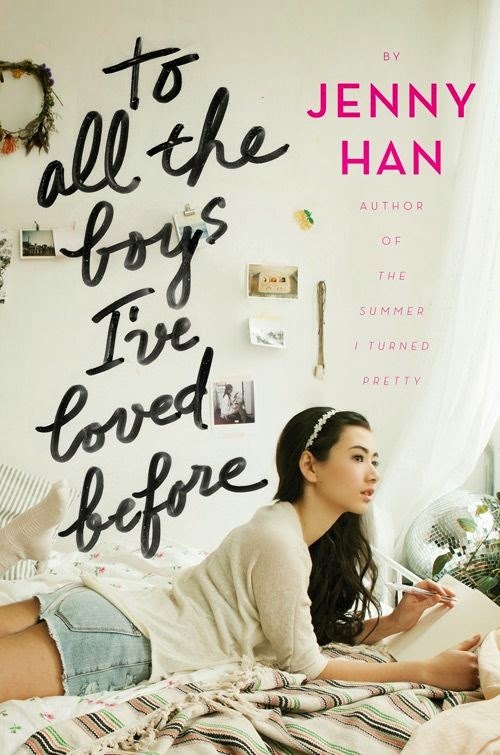 This book made me want a best friend just like the female lead, I really wish I could find a friend like that. I also really like the male lead in the book, he is such a great guy and his friend is such a funny dude. The plot of this story is also so so good. There are many incidents in the book that you'll just love. There are also some situations where you'll be wanting certain things to happen between characters. This book is also hilarious in quite a number of chapters. Even though there was some parts that you could predict, it was still enjoyable to read because you would want what you predicted to happen. I had a hard time putting the book down because it got me hooked so bad. I just wished I was in those characters' lives. While I wanted to read faster to know more, I also didn't want the story to end at all. Alas, when I was done I was very satisfied with the book as it gave me much much laughter and warmth. 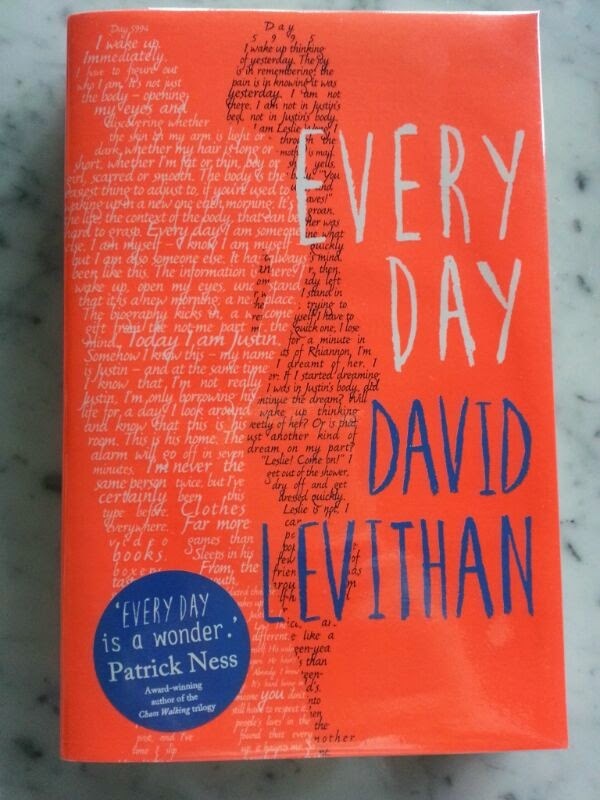 I would highly recommend this book to any young adult book lovers who enjoy reading about summer. This book is funny, exciting, heartwarming, cute and many more good things. 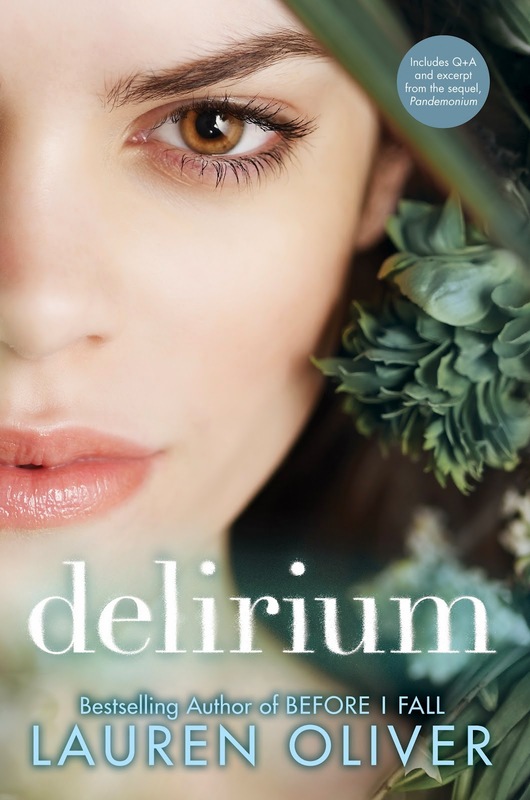 I would not hesitate to pick up another book from this author as she really did a good job. Next summer, I want to read this book again. Not Callum Hunt. Hw wants to fail. All his life, Callum has been warned by his father to stay away from magic. If he succeeds at the Iron Trial and is admitted into the Magisterium, he is sure it can only mean bad things for him. The Iron Trial is just the beginning, for the biggest test is still to come... -excerpt from book cover. 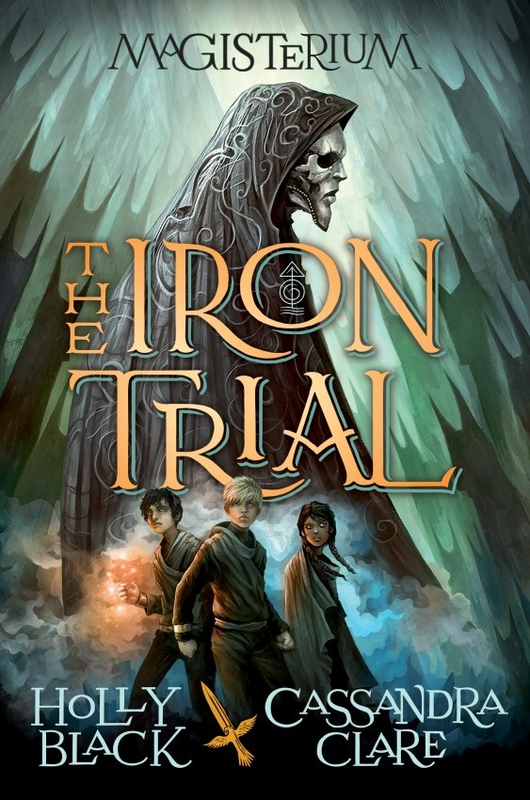 The Iron Trial by Holly Black and Cassandra Clare is about a boy who was to fail a test in order not to be admitted in the Magisterium. When I got news that two of my favourite YA writers are working on a series together, I was super excited. 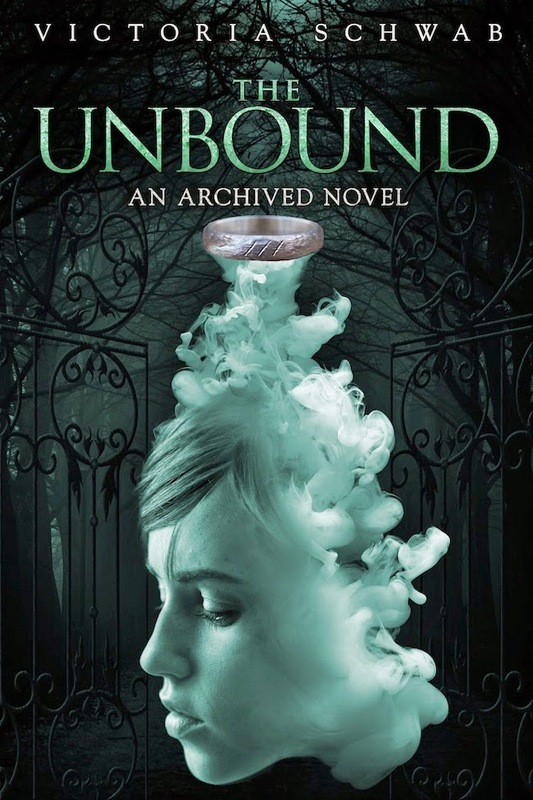 If you didn't know, Holly Black wrote many good series such as Spiderwick Chronicles and Cassandra Clare is the author of Mortal Instruments and Infernal Devices. Once the book was out, I tried to get the book ASAP but it took sometime before I got my delivery. 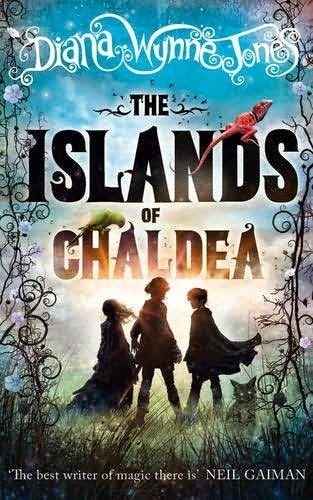 I truly enjoyed the book and I feel it is a good start/introduction to the world in the story and also preparing the readers for more of the series. If not mistaken this would be a five book series. I cannot wait for more and I highly anticipate that it will get better and better. I could not find any parts that distinctively tell it's written by Holly or Cassandra. The writing flowed so well, it was just like one person written it instead of two. I think they both have great ideas and this book is not like Harry Potter series at all. When it comes to magic school, people tend to relate it to Harry Potter but I have to say besides studying magic, everything else is totally different. Even the methods to conjure magic is totally different from Harry Potter, although the combination of mages form a group of three is similar but it's sort of a requirement for their training. The characters of the book are so so different from Harry Potter which I truly enjoyed. I really love the main character of the book, he has many struggles and thus it turned him into the person he is now. I love the growth of the main characters too because as time passed and certain things happening they changed. 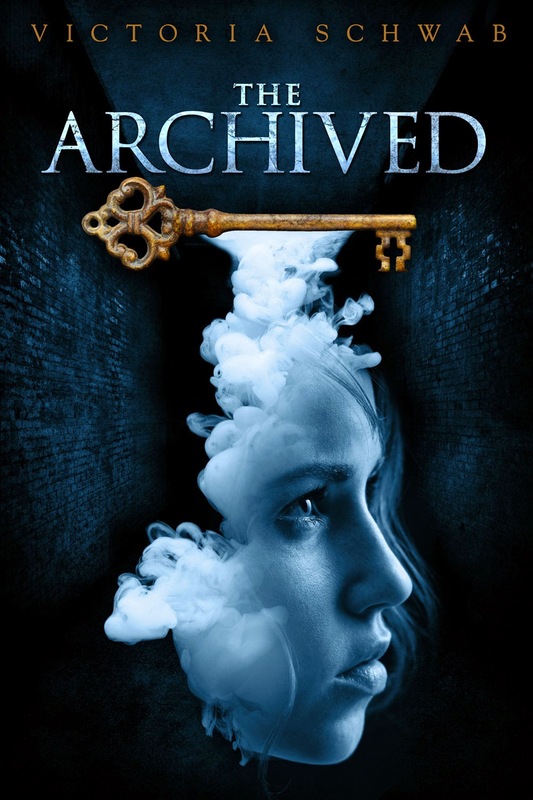 The plot twist was really well done and not easy to anticipate although one element of the story was easy to guess, I think it was the intention of the authors in the first place. I think the plots were really smooth and well timed. The only complaint I have is the length of the book, how I wished it was longer and more could be written on their process of learning magic or more interactions with other students. But overall, it's a great start of the series where it contains some mystery that will slowly unfold throughout the series. I hope the next book will come soon as I cannot wait. I highly recommend this to readers who loved Harry Potter, magic and fantasy. The cafe is boiling. The atmosphere is clouded with bittersweet coffee. Three years of desire rip through my body and burst from my lips: "Josh!" His head jolts up. For a long time, he just stares at me. And then...he blinks. "Isla?" Hopeless romantic Isla has had a crush on brooding artist Josh since their first year at the School of America in Paris, And, after a chance encounter in Manhattan over the summer break, romance might be closer than Isla imagined. 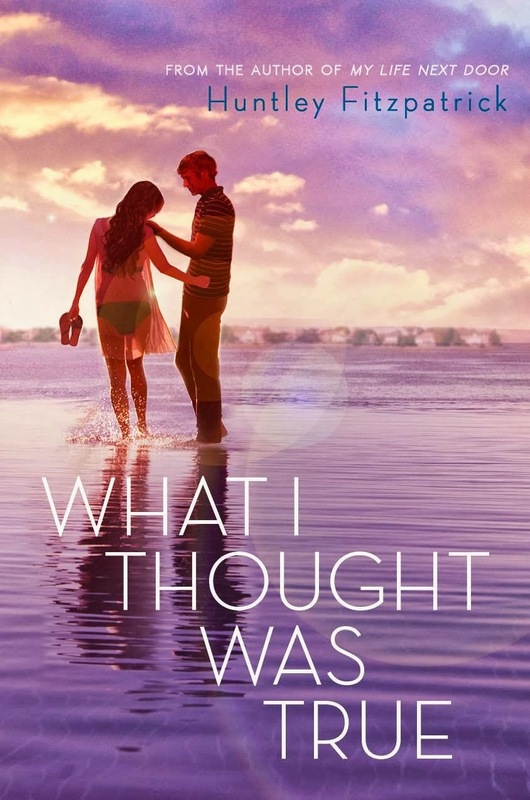 But as they begin their senior year back in France, Isla and Josh are forced to face uncertainty about their futures, and the very real possibility of being apart. - excerpt from book. 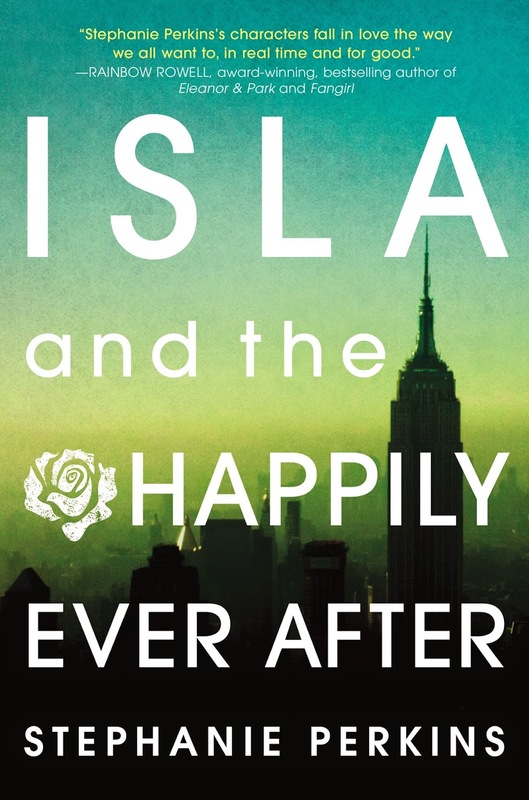 Isla and the Happily Ever After by Stephanie Perkins is the third book in the series featuring characters that were mentioned in the first book as the main leads(Isla and Josh). I absolutely loved this book, it was so adorable, so sweet and silly. It gives me all the good sort of feelings when reading the book. The love/romance written in the book is like reading a shoujo manga similarly to Kimi Ni Todoke. The feelings of the characters towards each other is so cute. The plot of the story was really smooth and it climax at really good timing. I thoroughly enjoyed the interactions between Isla and Josh, it reminded me wonderful feelings when a couple starts dating. The setting of the book is no doubt a great place and the author made me want to go to Paris so much more now. The pace of the relationship is quite good which doesn't feel that anything was rushed into. I like the struggles of their relationship too and it's really what a normal relationship usually go through. Before I end my post, below is a section of the book that I truly loved reading, it made my heart flutter for the characters and think about all other romance books that gave me the same feeling. It also definitely made me think about first dating my partner in crime =P. Josh grins. "Just give me your hand." "Your hand," he repeats. "Give it to me." I extend my shaking right hand. And- in a moment that is a hundred dreams come true - Joshua Wasserstein laces his fingers through mine. A staggering shock of energy shoots straight into my veins. Straight into my heart. "There," he says. "I've been waiting a long time to do that." "More than anything, Joel wants to be a Rithmatist. Rithmatist have the power to infuse life into two-dimentional figures known as chalklings. They are humanity's only defense against the wild chalklings- merciless creatures that leave mangled corpses in their wake. As the son of a lowly chalkmaker at Armedius Academy, Joel can only watch as Rithmatist students learn the magical art that he would do anything to practice. Then students start disappearing - kidnapped from their rooms at night, leaving trails of blood. Assigned to help the professor who is investigating the crimes. Joel and his friend Melody find themselves on the trail of an unexpected discovery, one that will change Rithmatics- and their world - forever." - excerpt from book. 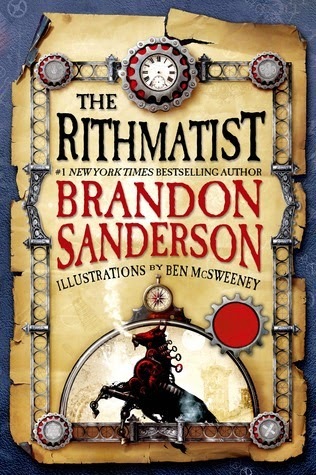 The Rithmatist by Brandon Sanderson is a young adult fantasy about a boy and his adventure of uncovering the truth. I was totally captured by this book from the start till the end of the story. My feelings after completing the book was wanting more of the story. That urge is so strong as this book is just that good. The world created by the author is absolutely fantastic and there are still many mysteries that I can tell is left for other books to reveal but it's enough for this current plot line. The magic aspect of the book is so interesting and truly unique along with other mechanics of the book. The characters of the book are also really interesting people and you see much growth from the main characters. I really like the mysteries of the characters in the book that was slowly revealed. There is nothing I have no complain about the characters as they seem so perfectly fitted for the story. As for the plot of the book it was so smooth and exciting where everything that happened is so significant to the story. The turn of events in the book was also written in such good timing to the story and it caught me by surprise. "The most dangerous kind of man is not the one who spent his youth shoving others around. That kind of man gets lazy, and is often too content with his life to be truly dangerous. The man who spent his youth being shoved around, however...When that man gets a little power and authority, he often uses it to become a tyrant on par with the worst warlords in history." - pg 121. I find that these are such wise words describing human nature which does manifest in the real world. "I can't understand something until I know why it happens the way it does. There has to be an objective point of reference that determines what makes a good drawing and what doesn't - even if that objective point of reference is the subjective opinion of the Rithmatist doing the drawing" - pg 191. I like the logic sense of those words said by a certain character. "school is about learning to learn. If you don't practice studying things you don't like, then you'll have a very hard time in life." - pg 214. Another set of wise words that I wished someone could have told me when I resented studying history when in high school. This is my first time reading this author's creation which is now one of my favourite books of this year. I am so impressed with the book which gave me high hopes that other books from this author will offer excellent quality of fantasy stories. I cannot wait for the next book and looking at his website, the second book won't be coming any time soon as his book schedule is quite packed. I'm already feeling excited to start his mistborn trilogy which will be soon in the months to come. I highly recommend this book to fantasy lovers, fans of Brandon Sanderson who have read his adult fantasy. 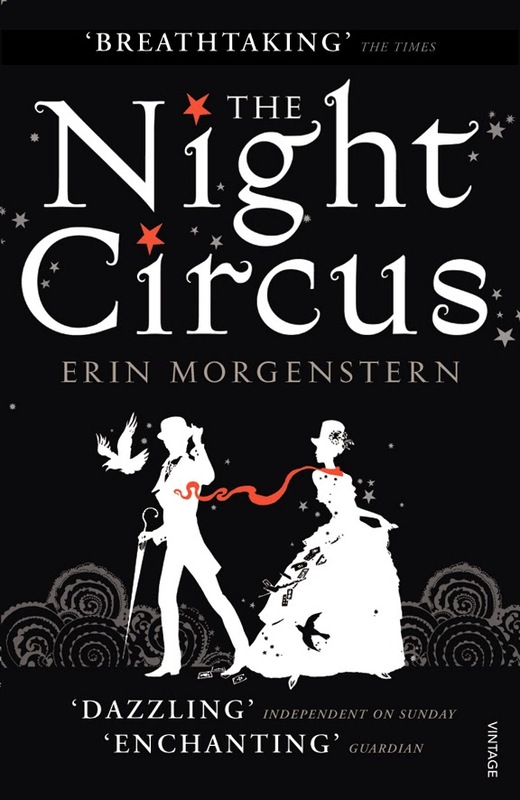 Even though this is young adult fantasy, it does beat much of the adult fantasies that I have read. This is no doubt a book that I will read again nearing the release date of the second book. 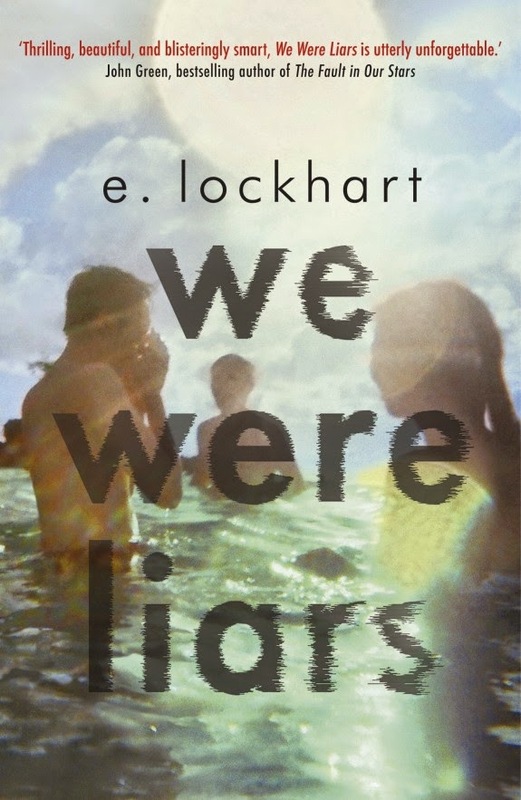 We were liars by E.Lockhart is a contemporary young adult book. I went into this book without any knowledge since most people in the booktube community suggested to read it that way. I was surprised by this book and I quite enjoyed it. The plot of the story can really take you by surprise and I like the timing of things happening in the story. I also enjoyed the perspective of the main character and her feelings. The characters of the book are very suitable for the story which made the book a good one. The message that's the purpose of the book is what I love the most. You might not see it clearly but as things unfold in the story you will. Overall this book is a big surprise with a wonderful meaning attached to it. It's quite a thin book so it's quick to read. I don't think I would read this book again unless I can forget what's it about as knowing the story erases the thrill of reading it. Georgie McCool knows her marriage is in trouble. It's been in trouble for a long time. She still loves her husband, Neal, and he still loves her - but that almost seems besides the point now. Two days before they're supposed to visit Neal's family in Omaha for Christmas, Georgie tells him that she can't go. She's a TV writer and something's come upon her show; she has to stay in Los Angeles. She knows that Neal will be upset with her - he is always a little upset with her - but she doesn't expect him to pack up the kids and go home without her. Is that what she's supposed to do? Or would Georgie and Neal be better off if their marriage never happened? - excerpt from book. 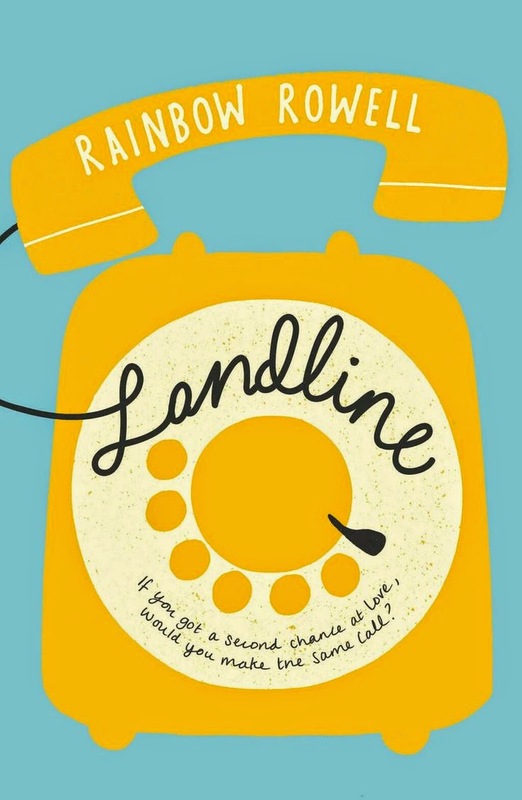 Landline by Rainbow Rowell is the author's second adult contemporary book. 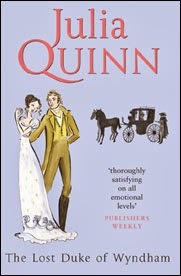 The story is about a marriage having problem and the heroine of the book is given a chance to change it. I was having quite high expectations for the book as the author is now one of my favourite authors. 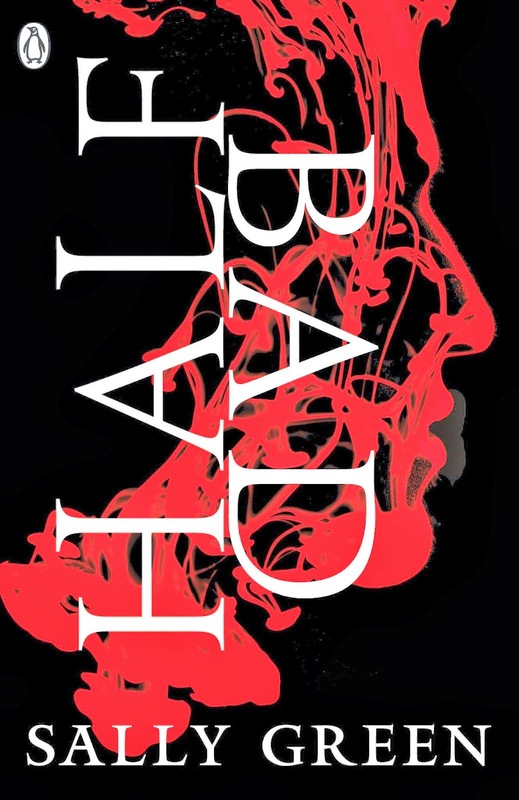 I was a bit disappointed maybe because of the high expectations but overall I did enjoy the book. The book started off slow but in the middle the pace did pick up and that's the part where I couldn't put down the book. I love reading more about the relationships of the main characters. As the past of the characters unfold I felt attached to their love and their story. It was really wonderful reading about their love. I also love the personality that the characters have and you can see them grow a little. What I enjoy the most from the book is the message of the book as I can relate and understand the situation and feelings of the characters. I really like the author's writing whereby she makes the characters so realistic and also the situations itself is just something that truly happens in real life (not the part of phone call to the past). Rainbow Rowell's writing just does this to every book she wrote and Landline was not left out. If more was written about their past it would make me love the book even more and for that I decided to give it a 4.5 star. 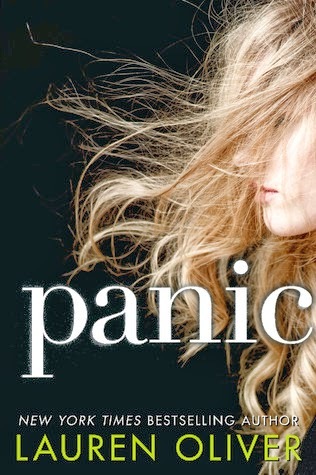 I love all her books but I still love Fangirl the most followed by Attachments. I will definitely read this book again as her books are my favourite contemporary stories. If you love her other books you'll love this one too. If you have not pick up a book by her, you'll love her writing it will do you no wrong to read it. P.S: There's an easter egg hidden in the book. If you've read all her other books you can spot it. The hint is an update about a couple in her previous books. Alina Starkov doesn't expect much from life. Orphaned by the Border Wars, the one thing she could rely on was her best friend and fellow refugee, Mal. And lately not even that seems certain. Drafted into the army of their war-torn homeland, they're sent on a dangerous mission into the Fold, a swath of unnatural darkness crawling monsters who feast on human flesh. Swept up in a world of luxury and illusion, envied as the Darkling's favorite, Alina struggles to fit into her new life without Mal by her side. Bust as the threat to the kingdom mounts, Alina uncovers a secret that sets her on a collision course with the most powerful forces in the kingdom. Now only her past can save her...and only she can save the future. - Excerpt from the book's dust jacket. 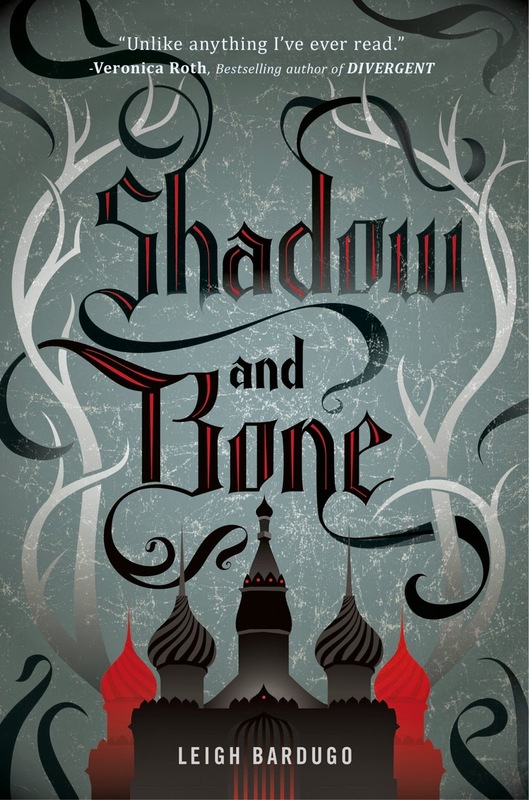 Shadow and Bone by Leigh Bardugo is a high fantasy book under the young adult catergory. I absolutely love this book and I finished it within 2 days which I don't do often. The story is certainly new for the YA genre. When I was reading this book, I can't help but being reminded of another fantasy series which I love dearly which is The Black Magician's trilogy. I'm not saying it's the same but there are some similarities which I would not mention. I have been reading quite a number of contemporary books and so reading this book reminded me why I love fantasy in the first place. "There are no Ravkans, no Fjerdans, no Kerch, no Shu Han. There are no more borders, and there will be no more wars. From now on, there is only the land inside the Fold and outside of it, and there will be peace"-pg 341. For the main heroine, I just felt she had okay character development but I kinda wanted more from her. Other side characters were written essential to let the plot move forward which I felt it was good. Some russian is used in the book where I don't quite understand and I wished the author would put in a glossary at the back of the book with the meaning and pronunciation of the word. The world and magic that author created is good and unique which makes the book more interesting compared to other fantasy. Overall the storyline and plots are the parts that captured me the most followed by one of the characters. I highly recommend this book to fantasy readers because this is one of a kind. It's a fantastic page turner which impressed me much and I will definitely treasure this story. This is one of those that I will read again and again. After doing some research I found that this book was taken on for a movie so I'm looking forward to hear news of it. There is also a wikia page for the book which shocked me that there were so many fans for the trilogy which was good. I can't wait for the last one to come out as I plan to order the second book along with the last one. Simon was on a date with Isabelle and they met up in a coffee shop. Simon was troubled as he did not know whether he was exclusive with Izzy and so he was dating Maia at the same time too. There was two weird men hanging around the shop and Izzy was able to tell they are subjugates of a vampire. They approached the table and said that their master wanted to meet Simon. Simon thought it was Raphael so he went with them, Izzy wanted to follow too but was not invited hence Simon went alone. They arrived at a trendy restaurant and Simon did not expect to see Raphael at a place like this but he was actually asked by a woman. 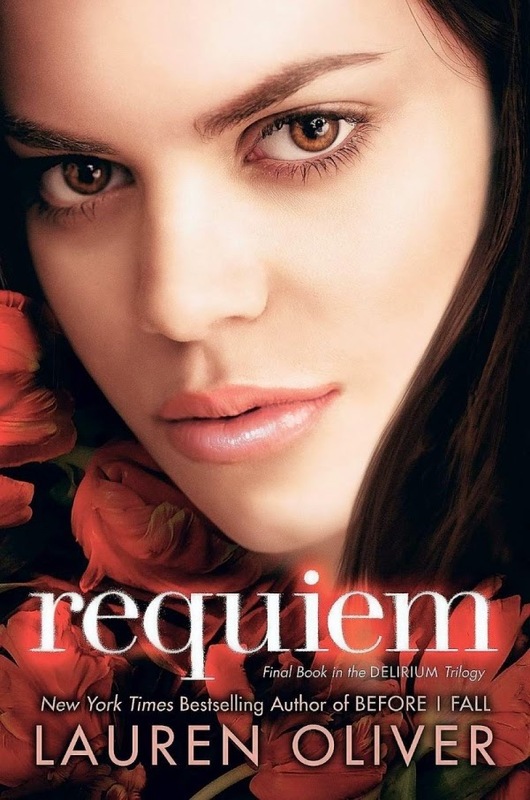 She is Camille Belcourt, a vampire that led the clan that Raphael is in charge of. Camille has been around and she offered Simon help where she can teach him how to stomach normal food and also speak the holy words that Simon could not. In exchange, Simon were to help her get back her position with the clan as Camille claimed that she was forced to leave by Raphael because a crime was blamed on her. Simon had a lot to consider whether he should help or not. 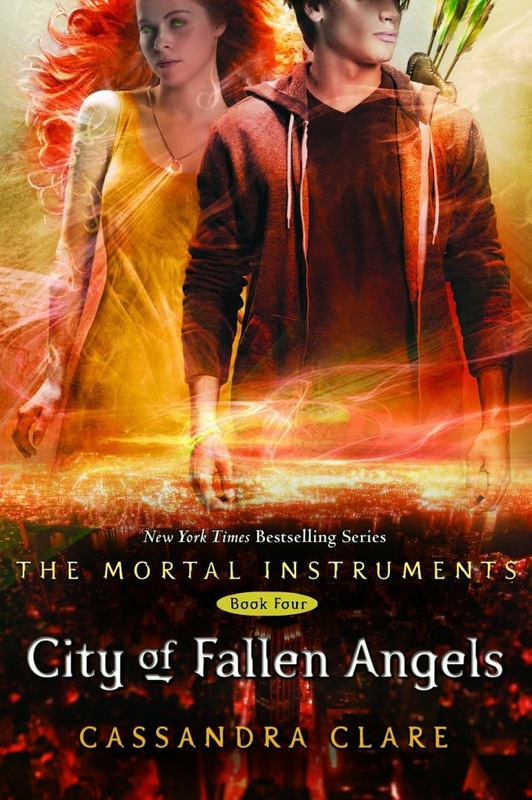 City of Fallen Angels by Cassandra Clare is the fourth book in the mortal instruments series. This book was quite slow in the beginning of the book, there was action here and there occasionally but not enough for me. Towards the end of the book it was really good. 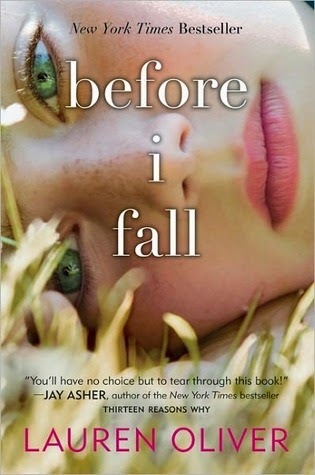 I read this book with a big gap between the third book as I knew that book 4,5,6 was more closely related. When I started the book, there was much things that I kinda forgotten and so I needed to research on the third book to refresh my memory. Being the fourth book, I actually expected more growth for some characters which I actually did see in Simon but not so in Clary and Jace. I'm not fond of female leads that are weak and sort of damsel type so I honestly say I don't like Clary. But the other characters that were involved in this book made it good for me. I liked that the story was featuring more of Simon as I was not impressed by the teenage love drama happening between Clary and Jace. As for the plot, it was really interesting because I do not know what to expect after what happened in book three. I really enjoyed reading more about the story and the progress of it. The ending did make me feel excited to continue to the fifth book which I have and subsequently the last book was out last month so I get continue on without waiting. My advice is that if you love the series just continue with it as it's still fun to read about the shadowhunter world. For new readers, I wouldn't say it's my favourite series but I still like it as it's a unique world just that it's not at the top of my list to recommend and I feel that there is too much hype for the series. I would prefer infernal devices because of the characters in that book are stronger and this book has weaker ones.